Check out these photographs of falcons and falconry from a new Northern Virginian blog on photography. Falconry, the ancient sport of taking quarry with raptors, is not widely practiced in the United States, although there is a Virginia Falconers Association. If you investigate a little bit you will learn there is normally an “apprenticeship” whereby an aspiring falconer will work with a more senior bird handler to learn how to trap, manage and train a falcon. The apprenticeship may take years. Falconers must obtain U.S. Fish and Wildlife Permits in order to trap and keep these birds. Having a falcon return to you and land on your arm would be exhilarating—presuming, of course, that you were wearing a protective gauntlet (otherwise your exhilaration would be tempered by extreme pain as the raptor’s talons clamped down on your forearm). These photos reminded me of a backpacking trip a friend and I took several years ago wherein we accidentally came upon several wild raptors that flew extremely close to us. It was a bit unnerving to have birds of prey buzz so closely by. A few minutes later we would realize why the birds were flying so close to us. 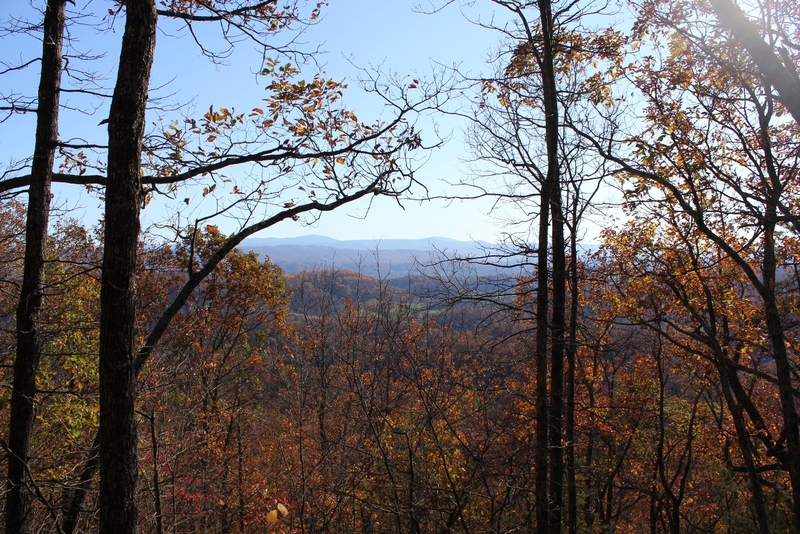 We were hiking the Appalachian Trail in the Bald Mountains, up on the North Carolina-Tennessee border about 10 miles north of Sams Gap. As we rounded some large boulders, we accidentally came upon the Big Bald Banding Station. 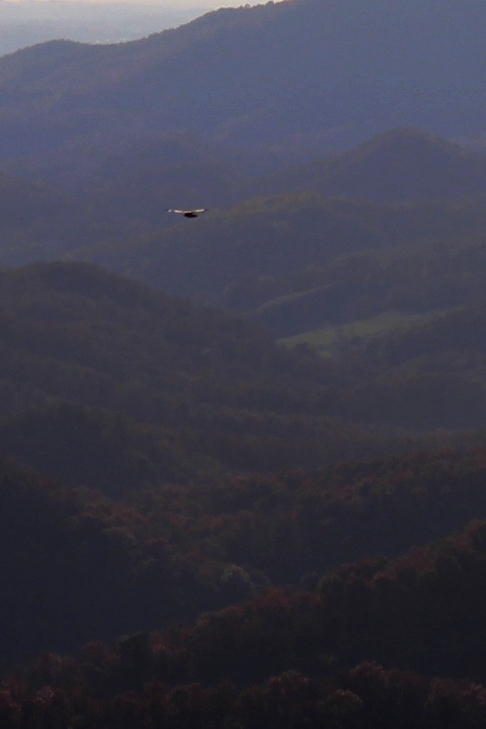 There were some individuals near the summit of Big Bald Mountain collecting data, and there were birds of prey that were either nesting or returning to the area. There were also some large bird cages, and, if I recall correctly, we observed several birds being released. The sheer randomness of our coming upon these guys and watching the magnificent birds was pretty neat. In fact, we were so surprised that neither of us remembered to take our cameras and photograph the birds. We probably could have gotten some shots like those in the article highlighted above. The birds we saw were not trained, but were wild and free and were probably just passing through, stopping briefly on their way south for the winter. 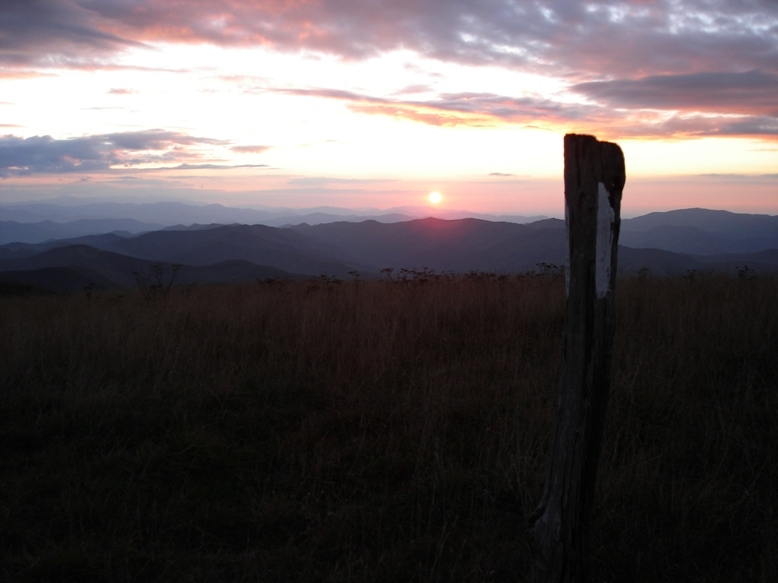 Big Bald Mountain, at 5516′, is one the higher points on the AT (and the highest between the Roan balds to the north and the Smokies to the south). 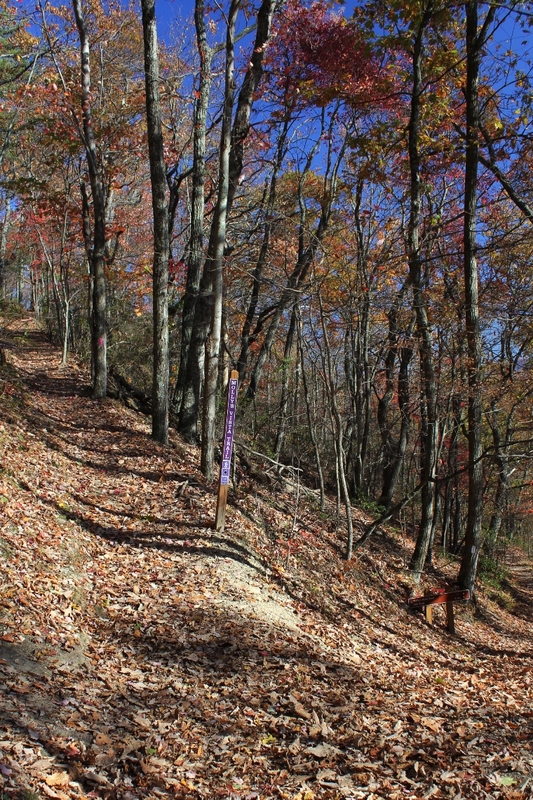 The hike on the AT from Spivey Gap (Route 19W, aka Spivey Mountain Road) to Big Bald Mountain is a steep, rugged hike. 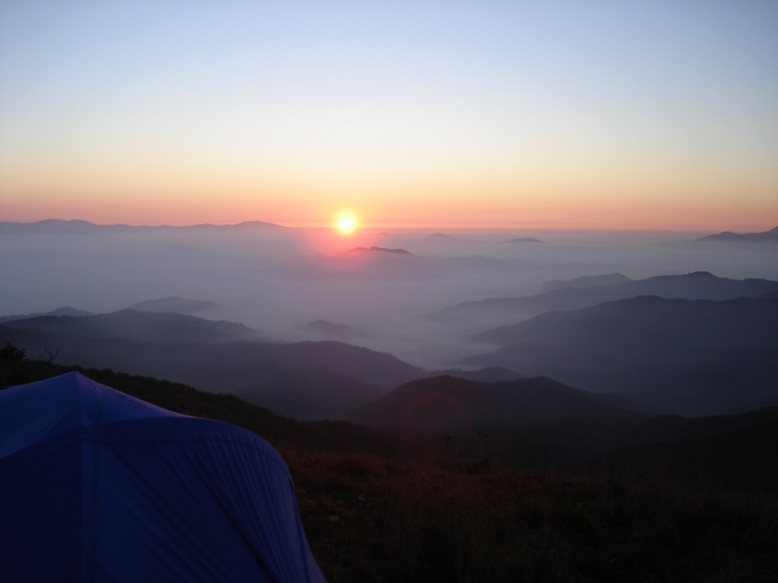 The Bald Mountains are a natural bird migration throughway, and both large birds and smaller species cross the mountain during the seasons. P.S. – North Carolina has a North Carolina Falconer’s Guild; Tennessee does not have any organization that supports falconry, although the Tennessee Wildlife Resources Agency administers the testing for falconry permits. 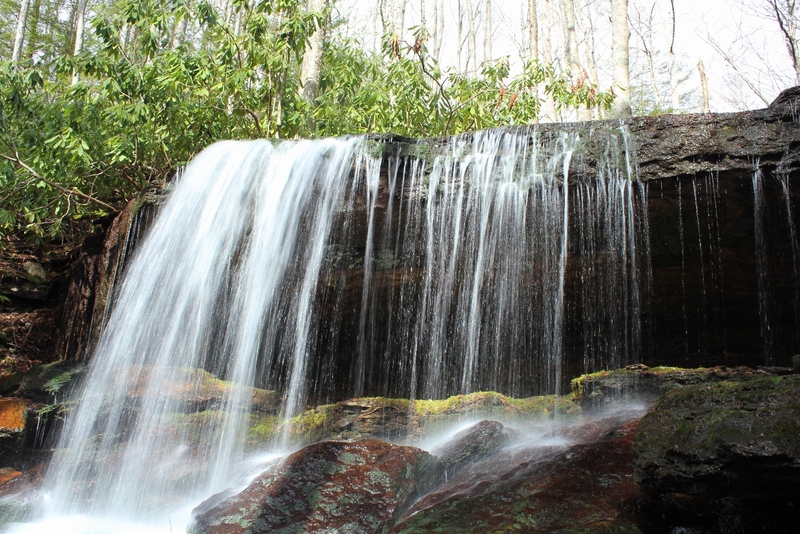 Immediately above the confluence of Little Brumley Creek and Brumley Creek on Clinch Mountain is a unique 16-20 foot plunge-type waterfall known as Little Brumley Creek Falls. This past weekend some friends, my son, and I hiked, climbed across mountainsides, and otherwise bushwhacked through state forest to reach this remote waterfall. 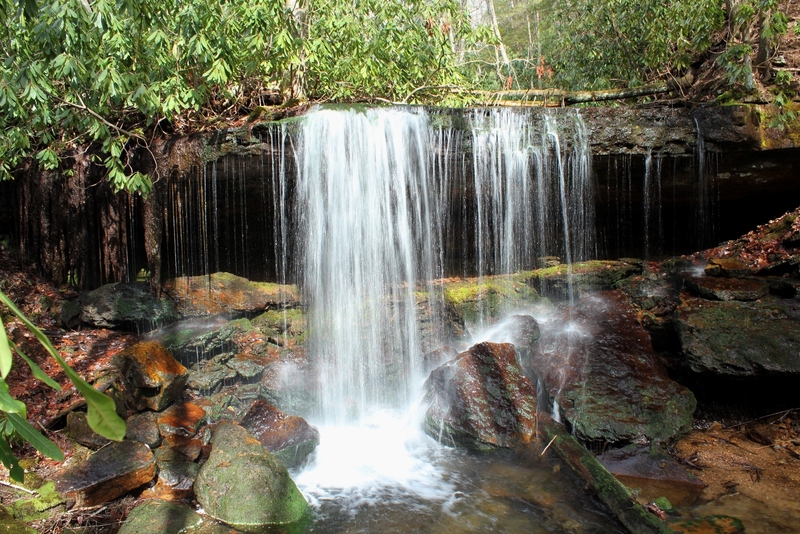 This waterfall is unique in that the waterfall drops over a huge slab of overhanging rock. There is a shallow cave behind the falls. You can actually get up in the cave and walk behind the falls. 2011-2012 has been a mild winter. Last night we finally received a decent snowfall. The Weather Channel was just up the road in Wytheville reporting live while I-81 got hammered. To the west in the coalfields we also got a pretty good snow, and all the schools in the region were closed today. The trend this season has also been that on the occasions we have received any accumulation, it’s been gone within 24 hours. 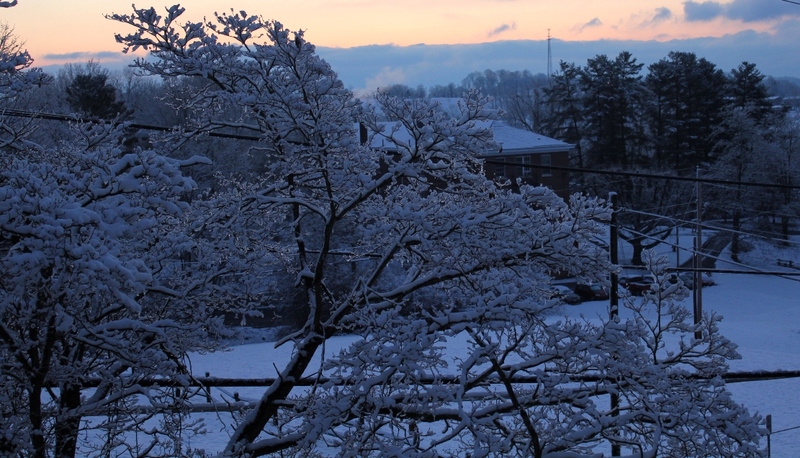 This morning I did get a few quick shots of the snow clinging to the dogwoods with the mountains in the background. 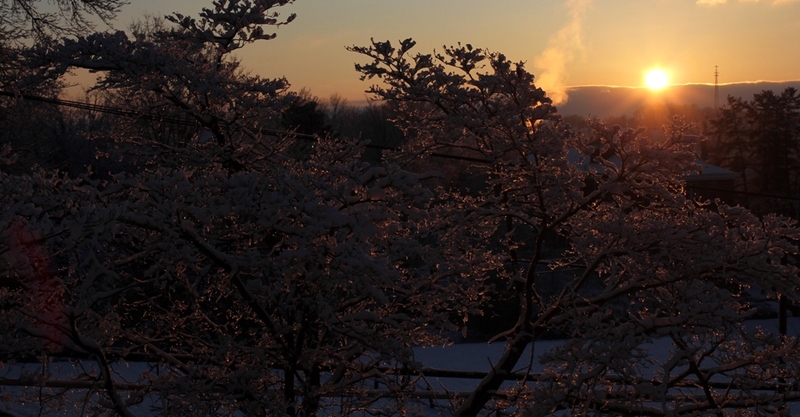 As soon as the sun rose, the snow began to melt. As usual, the white winter blanket of beauty was fleeting. By this evening the snow was all gone. 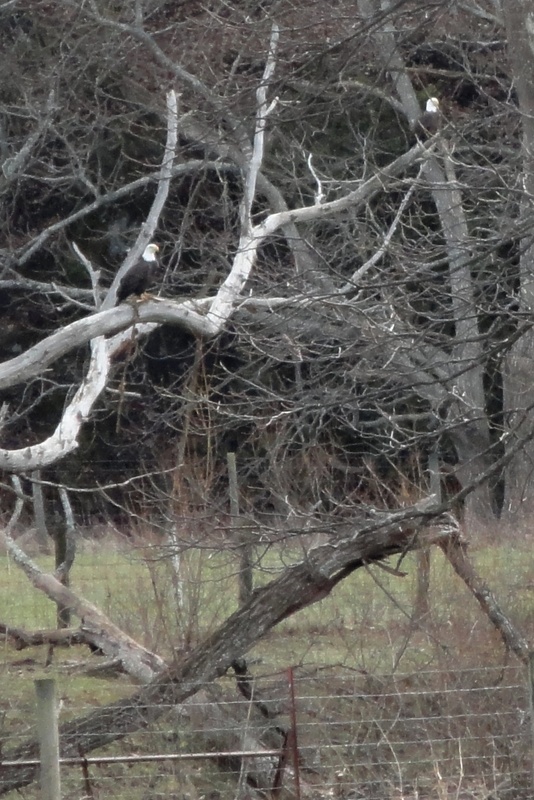 Sightings of bald eagles are still rare enough that people like Osborne and his neighbor are excited to spot one. 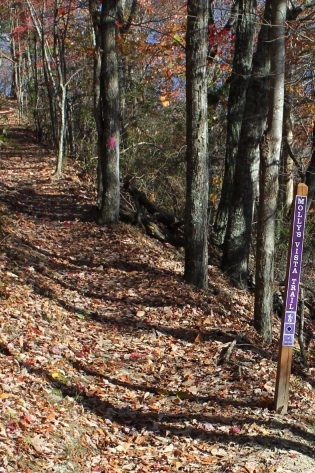 However, Boynton, a bird watcher himself, says if individuals know where to look, it’s not difficult to see a bald eagle in Southwest Virginia or Smyth County.People regularly spot bald eagles, Boynton said, at Laurel Bed, Claytor and South Holston lakes as well as along the New River. In Smyth County, the wildlife biologist said, eagles can be seen along the Middle Fork and at DGIF’s trout hatchery on Rt. 16 and some private trout farms. 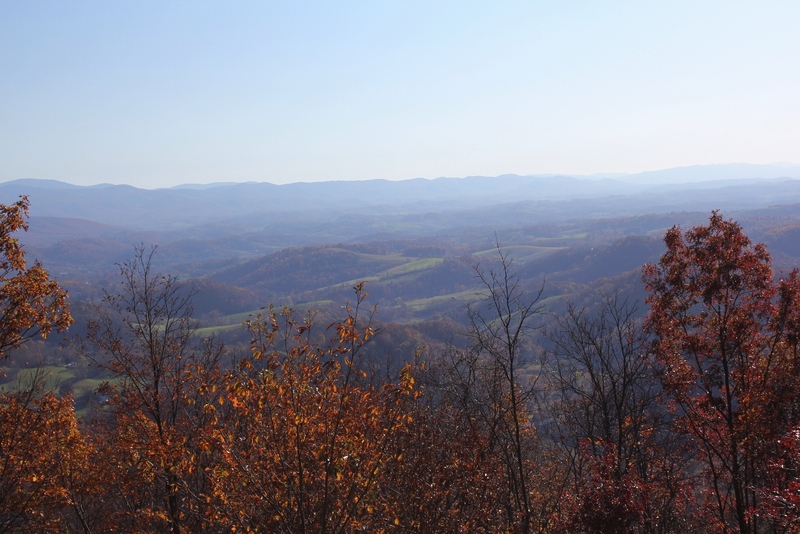 While the bald eagle’s presence has been growing in the region for some time, Boynton did note a new observation that now some nests are being located in Southwest Virginia. 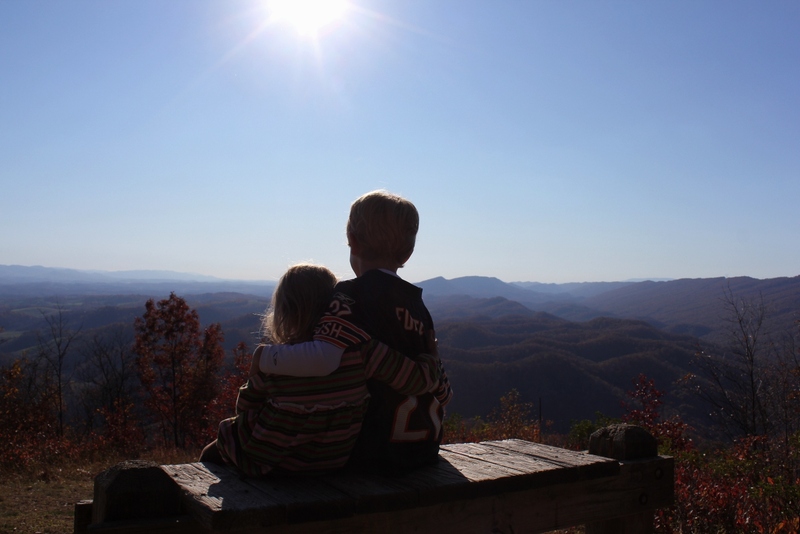 SWVA Today, November 30, 2012 (online). 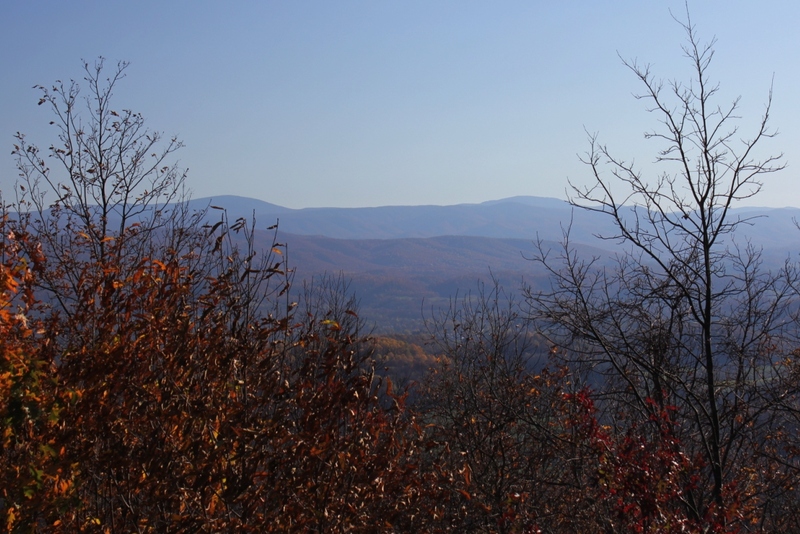 I previously wrote the tongue-in-cheek article on my finding bigfoot in Southwest Virginia last November. That article has generated a lot of interest (This website has gotten lots of hits from people searching for the elusive bigfoot.) 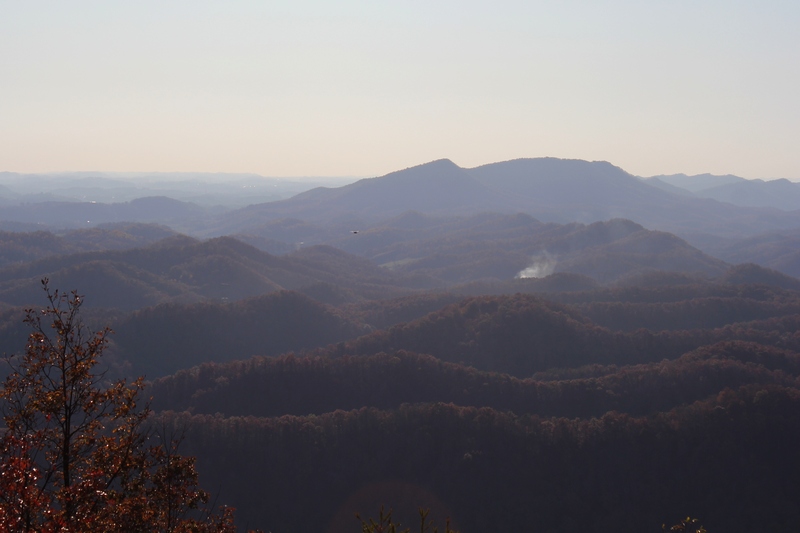 For those interested, the premier of the Southwest Virginia episode on Finding Bigfoot will be shown on the Animal Planet channel on Sunday, February 12 at 10:00 pm. 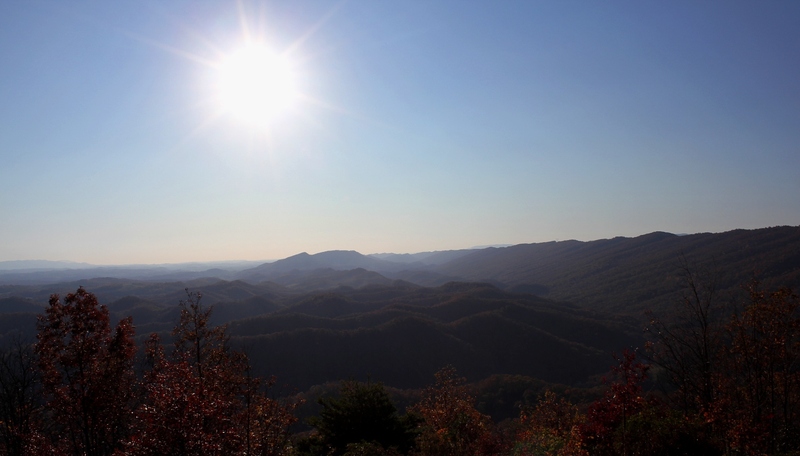 The article quotes Chad Hammel, an Animal Planet producer, as stating that High Knob may be a likely location for bigfoot because of the “topography and thick forest.” The article states that this area also has a history of bigfoot sightings. I plan to watch the show this Sunday. 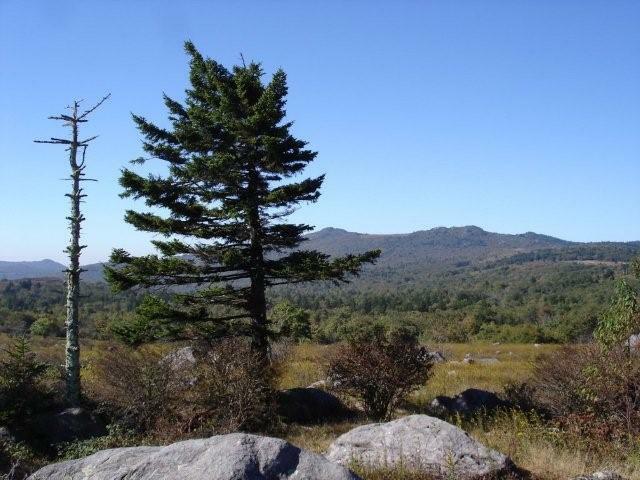 I think it’s high time I plan a hike up on High Knob, too (and not just for the squatch watchin’). 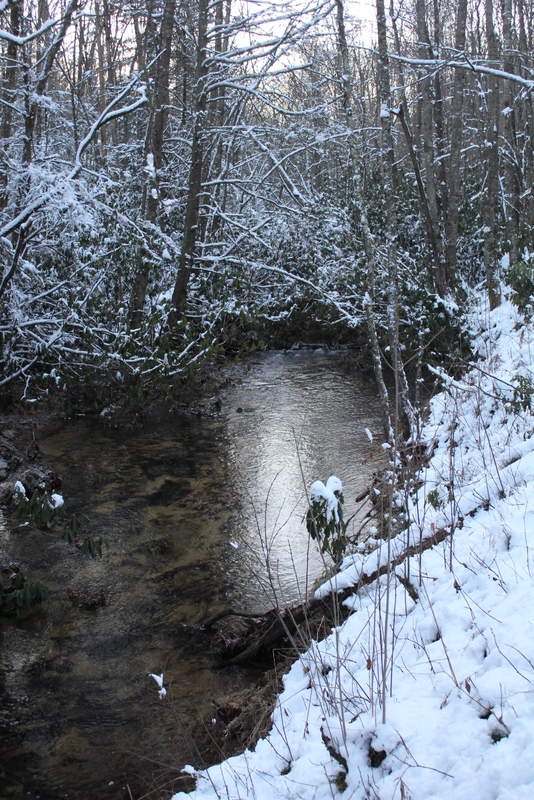 Southwest Virginia, Upper East Tennessee, and Western North Carolina have lots of small creeks that are usually more fishable in winter. 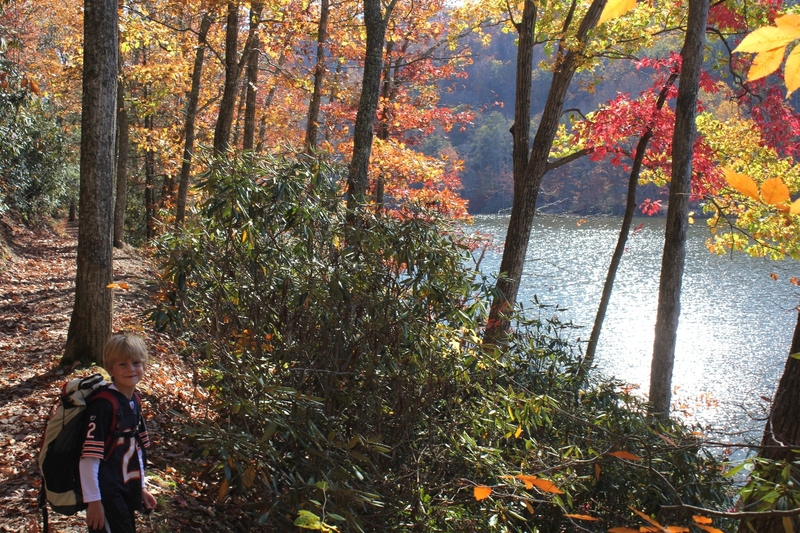 In winter the water levels may be higher than the summer or fall, there’s no foliage and less brush to block access to the water, and the creeks are no longer clogged with the fallen leaves. 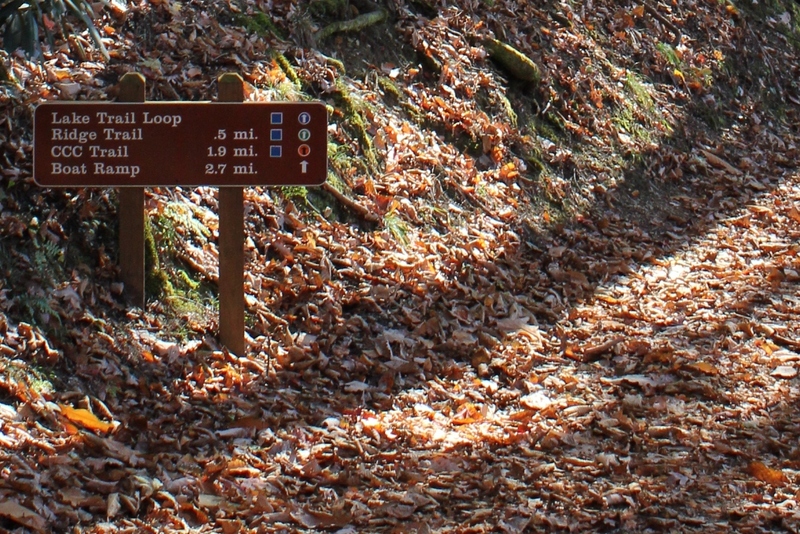 It’s a great time of year to hit these creeks, especially during breaks of mild weather. You’re not likely to catch lunkers in these waters, but the trout are more likely to be wild and more beautiful than the stockers in the rivers and lakes. They may also be willing to hit dry flies even when there’s no hatch coming off the water. These small creek trout don’t have the luxury of waiting for a full-blown hatch. They’re often stuck within the confines of small pools; this requires them to be particularly opportunistic feeders; and insects on the surface are opportunities to them regardless of season. There is something especially rewarding about the adventure of hiking where few fishermen have been, where the trout may not have seen men or their fishing gear for a long time before you, and where you have a genuine belief that you are exploring the natural world. Most of the truly secret streams were small. The larger streams had names, a public sort of character, commercial importance, perhaps. They were accessible: if they held trout it became known and they were visited regularly throughout the open season. Without restocking they became at last depleted of fish. 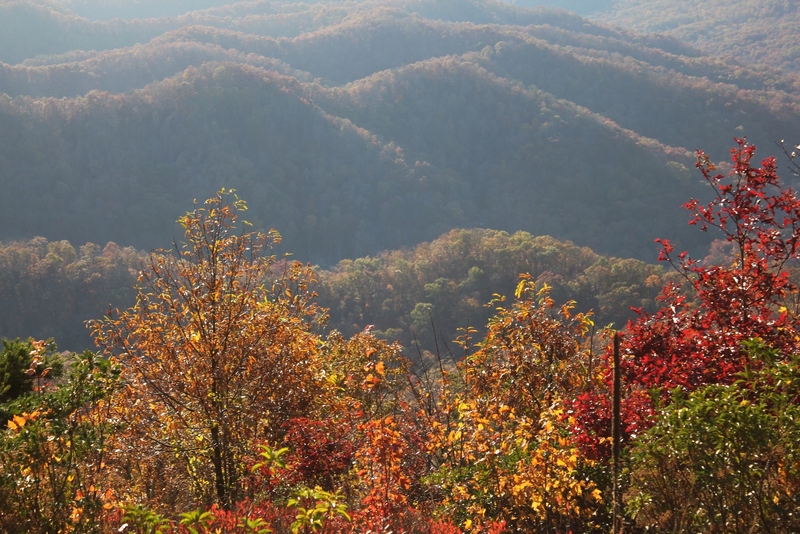 But the little back-country feeder brooks were nameless, and inaccessible save by long tramping over the ridges and upland meadows which lay deep beyond the infrequent roads. In such remote rills, known only to ourselves and our most intimate partners, the brook trout swam and lurked to meet his chilly destinies much as he had in the first days of the world. Some of these streams are still where they used to be. . . .
Howard T. Walden, II, Upstream & Down, at 171-72 (First Edition 1938). 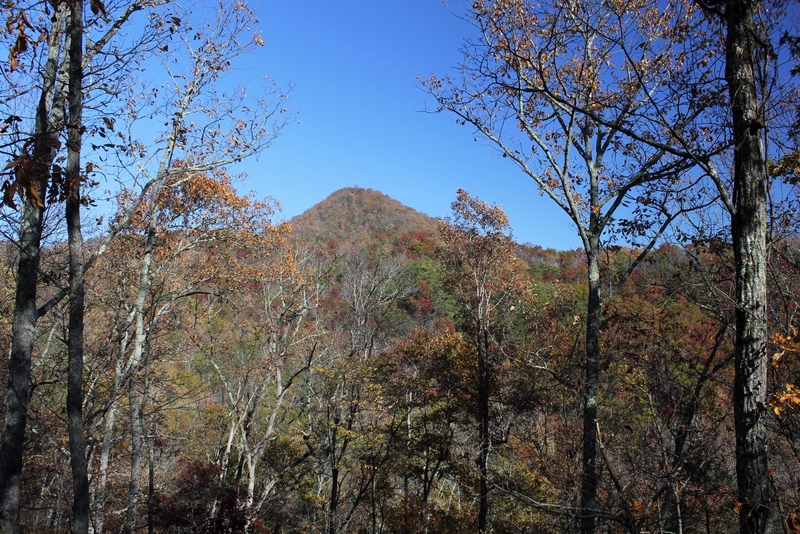 These days, even in the “remote semi-wilderness counties” of the East (acknowledging that the definition of Eastern “remote semi-wilderness” is probably different today than in the 1930s), there are very few, if any, “nameless” small streams. 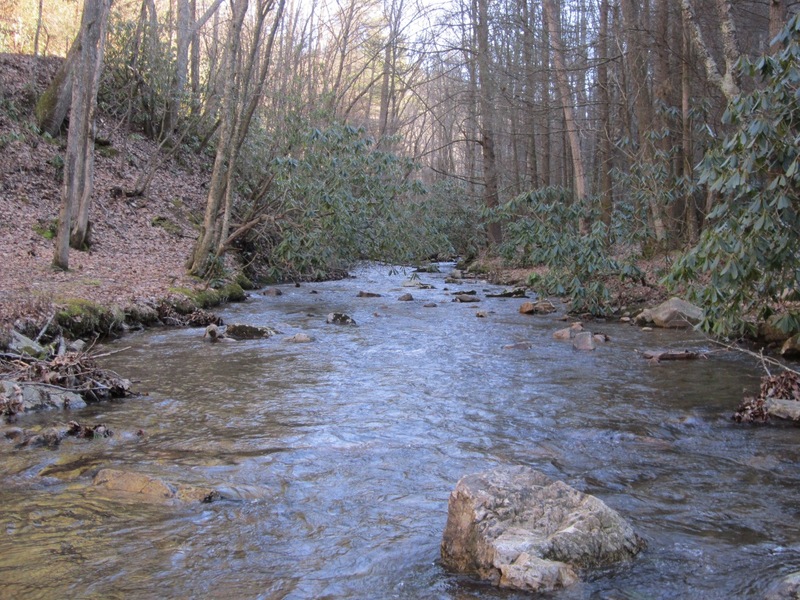 Nonetheless, the essence of what Mr. Walden wrote back in the 1930s is still true: Remote small streams are still the most likely places to find unspoiled trout waters. 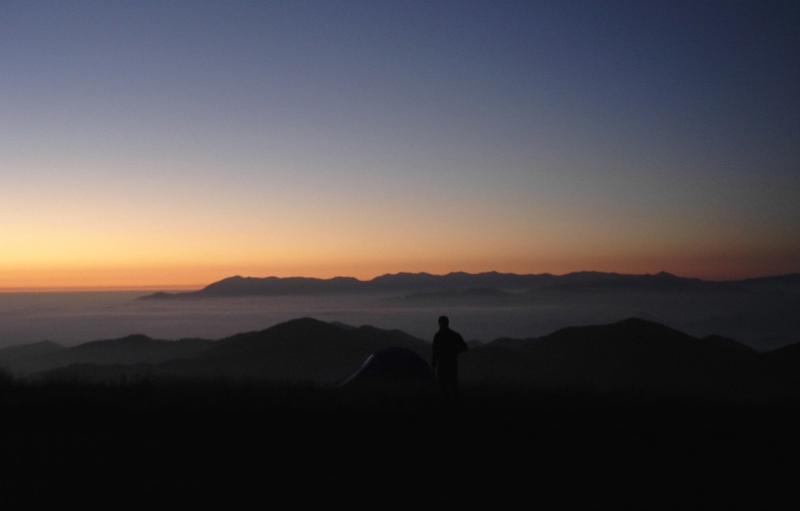 In the reality of our increased population and the informational resources of modern times, there is not just a geographical dimension to being adventurous in the outdoors—whether fishing for trout, or otherwise (hiking, backpacking, etc.). There is also a seasonal dimension. Most fishermen hang up their rods and reels come late fall, and many do not take the sport up again until the traditional opening days of April. Thus the ardent angler is far more likely to have a solitary and adventurous experience in winter than in spring, summer, or fall. 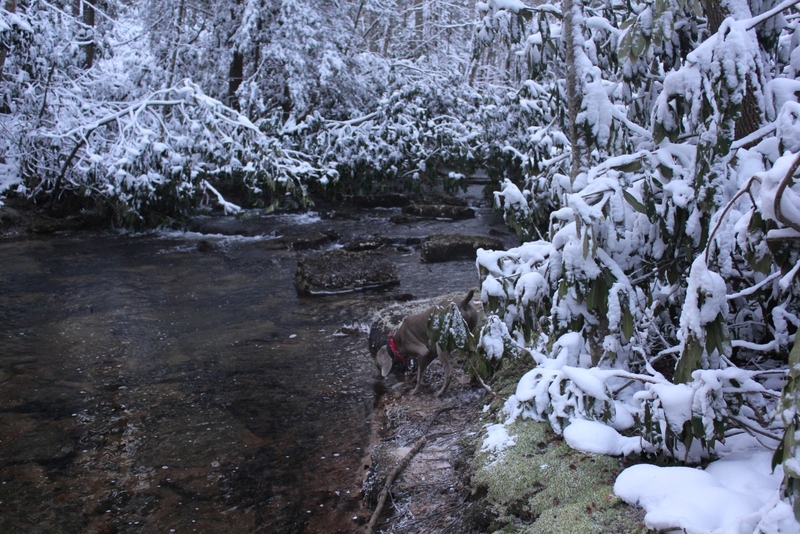 This is not to say that small creek fishing is not rewarding in the fairer seasons, just to point out the undeniable fact that it is more likely to hold an excitement that comes from undisturbed exploration in the wintertime. So I will continue to fly fish in wintertime, even if I catch less trout during this season. For while catching trout is the “point of the whole exercise” (as fellow small stream enthusiast and Trout Underground author Tom Chandler has stated), it is not the sole—or perhaps even driving—reason that we engage in this sport. P.S. — I will write more about Upstream & Down, a fascinating book, and Mr. Walden’s thoughts about trout fishing in subsequent articles.